Enter the Relaxation Room. While I was getting my hair styled by Tim Westcott, owner of Salon Renaissance here in Sisters, he mentioned his new business venture, The Relaxation Room. Now, I have traveled through many airports and seen many massage chairs throughout the world, but, for some reason, I didn’t find it so appealing sitting there getting massaged in front of 500 of my closest airport friends, clutching bags and trying to “relax” at the same time. I became a gawker instead of participants in those ventures. However, timing is everything. When Tim mentioned his new brainchild, my aching “shovel” back and shoulders said, “heck yeah!” So, I proceeded upstairs to the new Relaxation Room and got the full treatment. Tim has created quite the experience. 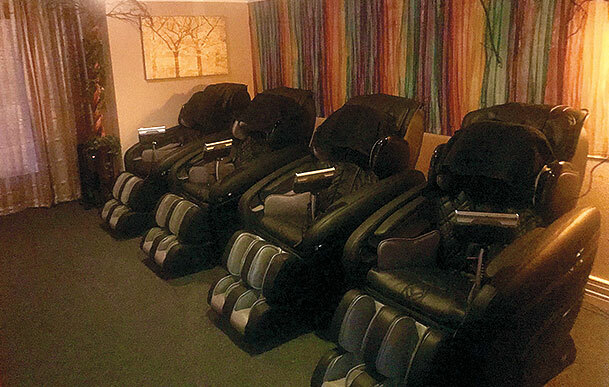 Entering this room, I was greeted by four mammoth massage chairs, fully equipped and state-of-the-art with multitudes of settings depending on your “Goldilocks Factor,” as I call it. Being a massage wimp, I told Tim to start with the lightest setting. There are different focal points and settings depending on if you want stress relief, recovery, shiatsu, nearly everything a full masseuse would provide. You can also adjust the intensity of your massage. The experience is also visual, not just kinesthetic. As you recline in your chair, Tim has created his own Aurora Borealis within the room. The stars and celestial setting on the ceiling add to the ambiance of rejuvenation and relaxation. If you squint and set your mind free, you can imagine yourself sitting among the stars in Iceland. Additionally, he has the soft music and sounds for your full stress-free experience. While electronics and wine don’t mix in many areas of life, this also holds true for the chairs. With all of the electronic settings, Tim didn’t want to risk having red wine spill on his high-tech investment. After your massage, though, he has a small beverage bar set up to chat with your friends or hang out while you prepare to venture back into everyday life. You have a choice of tea, wine, or sparkling waters to complete the full experience. As a travel advisor, I know that “experience” has become the new industry buzzword. Sisters was due for a gathering place like this to hang with your girlfriends, or just relax after a hard day of skiing, hiking, working at the computer, or in this case, shoveling. I see this being a new trend in many tourist towns, but we are just ahead of the game. And, this is one experience not just for the tourist — with a winter like this year, it will be welcomed by locals feeling the winter pain. I have to say the ingenuity Tim has shown to create this full relaxation encounter is remarkable. Tim plans to have a concierge meet and educate you on the chairs, as well as a punch-card system for payments. For the moment, the cost is $25 for the half-hour session or $40 for the one-hour session. You will certainly need to call in advance to book your sessions as I do see this being a popular Sisters encounter. 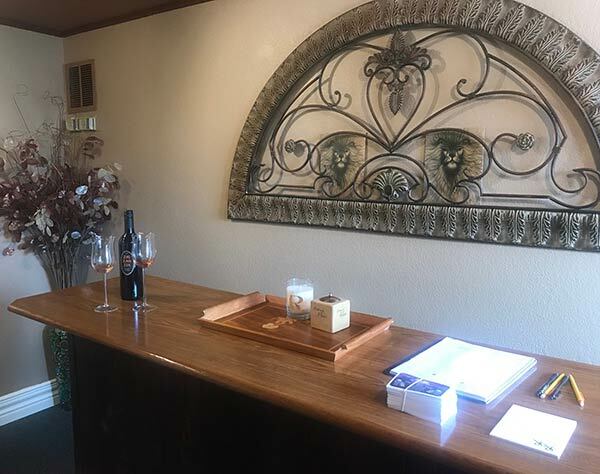 Contact the concierge at 541-771-0320 or go by the Relaxation Room above Salon Renaissance at 220 W. Cascade Ave. (next to Martolli’s Pizza).